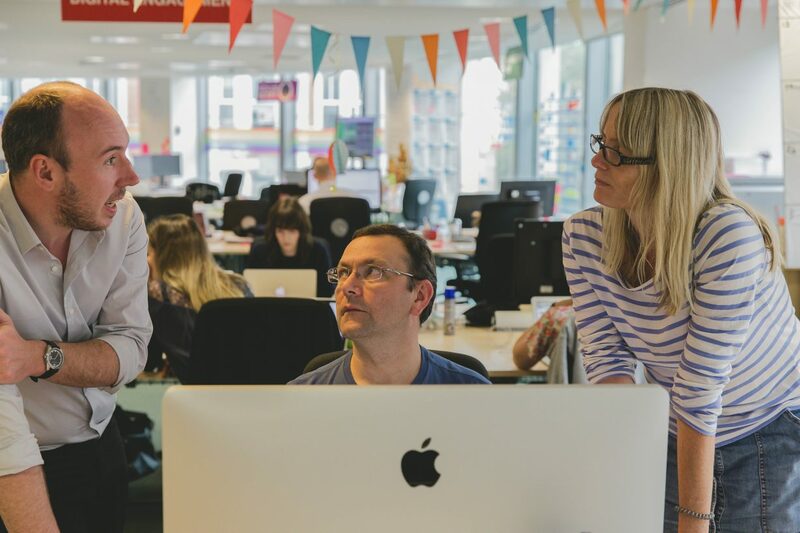 When we created the People Board, we said it had been set up to "make GDS a better place to work". One of the things we realised from the start was that we didn't know enough about the things that people were bothered about. So we did some research, and ran a series of workshops with people from all over GDS to understand what their priorities were. Another thing we realised pretty quickly was that we needed simple ways for people to get in touch with us with ideas, suggestions and (occasionally) complaints. We set up an email account and a Slack channel, but found that whiteboards on the walls were by far the most popular way to raise issues. The whiteboards can be a bit unruly at times, and hilarious at others. They are inspiring places for collaborative communication - on more than one occasion, someone has asked a question on the whiteboard and someone else has scribbled the answer underneath. People add "+1" to things they support. The People Board boards (as we've started calling them) are a good way for people to share ideas, raise issues in an informal way, and sometimes vent frustration about things that aren't working well. We use Trello to manage our workflow. Each card represents an idea, suggestion or problem that the Board has been asked to deal with or think about. We move cards into an "agenda" column and use that as the basis for our next meeting. Importantly - and it took us a while to work this out ourselves - the People Board isn't really a doing things team. It's a deciding things team. All the members of the Board are elected by their colleagues in GDS, and they all have plenty enough work to do already. At the meetings, their job is to consider the ideas and suggestions that have come in, and decide: “will this make GDS a better place to work?” If we reach a consensus on "yes", we then think about who in the organisation is best placed to make that thing happen. As a result, we've formed good connections with the Estates Team who look after the building we work in, and the People Team who handle all the the HR stuff. Some of those little things are quite sensitive. Some of the issues people raise with us are very specific to those individuals. In those circumstances, a member of the Board usually volunteers to have a private conversation with the person concerned, and makes sure they get the help they need from the right people. Not everything gets done quickly. Tackling diversity and raising awareness about it is something we've been looking at since our very first meeting, but none of us would claim that we've "done" that task. Nonetheless, it remains on our Trello board because making GDS more diverse is one of the things that makes it a better place to work, so the People Board continues to support it. The most important thing that needs to happen isn't announcing that you'll have a Board, or running the elections to find members for it. Rather, it's giving that Board a mandate to change things. We have a mandate to ask the senior management team to fix things that are broken. We have a mandate to ask other teams in GDS to help with specific projects. 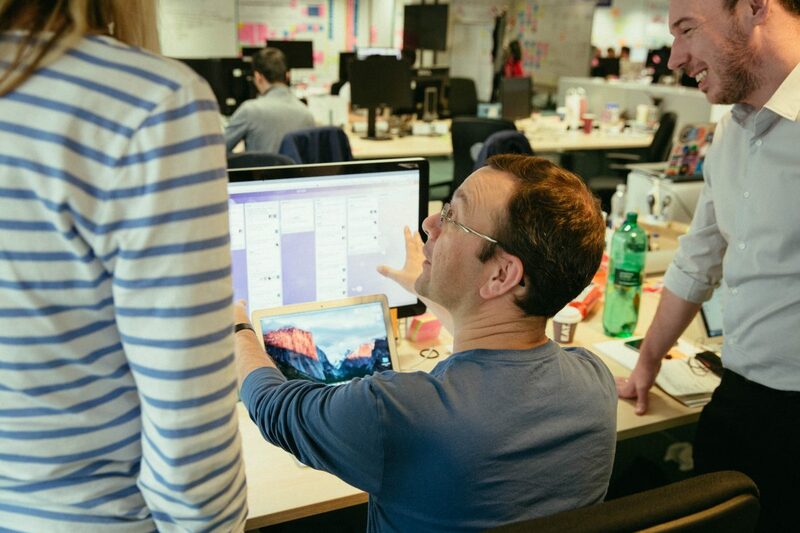 We have a mandate to decide, on behalf of the people to elected us, what things will make GDS a better place to work. So if you want to create a People Board in your organisation, that's the vital first step: give the Board a mandate. Let it decide how it runs itself. Let it make decisions, and trust those decisions. Refresh it with new members now and again (since we set up our Board, about a third of the original members have stepped down to make way for new ones). Another useful thing to do is make sure that there’s a member of senior management who’s on the People Board too. In our case, it’s GDS Chief Operating Officer Alex Holmes, who chairs the People Board meetings and acts as a useful conduit between the People Board and management team. Having a People Board is not a way for management to avoid day-to-day problems, because some of the things that the People Board encounters are bumped up to them to deal with anyway. It's not a way for individuals to wield power either, because the Board discusses everything as a group and aims to reach consensus. It's something else. Our former boss summed it up like this: "It's management by the team, not the managers." Do you have a work flow diagram as to how you make this work, please? Particularly interested how you transition / move data across Trello boards. We have an excel sheet with outstanding actions on so how does Trello help with making this easier? I'm interested mostly on the collaboration across geographic sites. No, we don't have a work flow diagram. We only use one Trello board, so we don't have to move data from one to another. Outstanding items are all the items that aren't in the "Done" column. We're all based at a single geographic site at the moment, so that's not an issue either. But if we were spread out more, Trello would still work well I imagine. Now I stop to think about it, I'm reminded of the phrase "wiki gardening", where users of a wiki continually chip away at small tasks to keep it in order and keep chaos at bay. It's a bit like that. We keep an eye on the Trello board, little and often, to keep it under control. We also use it to determine the agenda for future meetings, simply by dragging cards into the "Agenda" column. That ensures they'll get talked about next time we meet as a group.